If you are looking to borrow money quickly, you should look into applying for one of the instant cash loans from African Bank. Because of our consumer driven fast paced lifestyles, many people feel the need to borrow cash in order to have the essentials in their lives. Often, if something goes wrong, people need instant cash to help pay an urgent bill or to get them out of a sticky situation. It is always a good idea to only take a loan if you cannot avoid it, to take out borrowed finance with a reasonable interest rate and with acceptable terms and conditions and to only apply for money from a reputable financial service provider. Why do you need a cash loan? Many people throughout South Africa make use of cash loans for a number of reasons. You might need to pay off your children’s school fees or tuition costs, you may have an unexpected vet bill or medical expense, you may have to repair your vehicle or pay excess on damage to your vehicle, you may have to pay for your child’s school hockey tour or a new swimming kit or you may have to pay off other debt that has a dangerously high interest rate. Whatever your need, an instant cash loan will provide you with the money you need to pay for it. It is important to keep several things in mind when you apply for a loan. If you follow these tips, there is no reason that your personal loan should affect your finances badly in the future. Firstly, you should stop and ask yourself whether you really need the loan or not. If it is not essential, then you should rather avoid borrowing. Never get into debt when it is not entirely necessary. Examples of things that are unnecessary to get into debt for include luxury items like new clothes, handbags, shoes, holidays overseas and similar items. Only go for an instant cash loan if your credit record is good. If you are already overwhelmed by debt you should definitely avoid more at all costs. It will only hurt you and your situation if you continue to compound debt when you are already in over your head. Choose the right loan for you. There are so many different options when it comes to borrowing money and it is essential to choose the right sort of loan for your needs. Look at the interest rate, decide whether you can afford it, look at the terms and conditions and think carefully before you sign anything. Choose a loan from a reputable financial service provider. It is never a good idea to apply through a loan shark agency. These agencies will charge extortionate, compounding interest rates and will not stop at anything to get their money back. You do not want to find yourself in a scary situation. 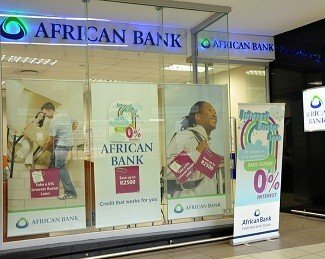 Why choose cash loans from African Bank? African Bank is a well-known, reputable financial service provider with a large base of happy and satisfied clients. It is always a good idea to go with a financial service provider like this who is honest and will not be out to squeeze every last bit of money out of you that they can. If you are in trouble with debt, what should you do? If you are already struggling to pay the debt that you have accumulated and you are looking to apply for an instant cash loan to help pay it, you should think again. Adding more debt to an already overwhelming situation will not help you at all. It is better to visit a debt counselor and discuss your options for managing your situation. The debt counselor will alert your creditors that you are under administration and they will not be able to take any legal action on you.